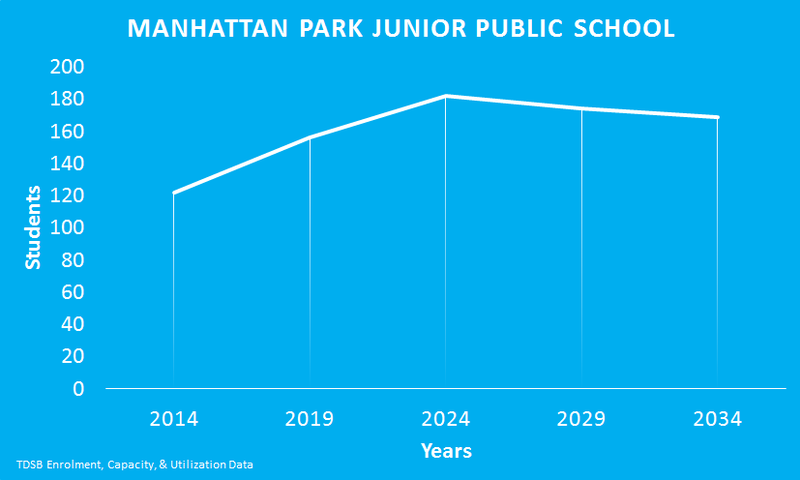 The TDSB projects that Manhattan Park Junior Public School’s enrolment will continue to grow over the next 10 years, and then decline slightly. In five years the school will be overcapacity. Manhattan Park Junior Public School provides two Intensive Support Programs: a Primary Diagnostic Kindergarten and a Primary Developmental Disability Class.